Mike O'Connell, spokesman for the Department of Corrections, says Clayton's lethal injection began at 9:13 p.m., and he was pronounced dead at 9:21 p.m. at the Eastern Reception, Diagnostic and Correctional Center in Bonne Terre. The execution had originally been scheduled for 6 p.m. While the Supreme Court denied Cecil Clayton's request for a stay, Justices Ruth Bader Ginsburg, Stephen Breyer, Sonya Sotomayor, and Elena Kagan said in a statement they would have granted the stay of execution. Clayton's last meal was fried chicken, mashed potatoes, corn, green beans and a cola. 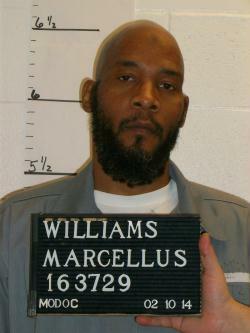 His final statement, according to DOC officials: "They brought me up here to execute me." Pentobarbital was again the sole drug used to end Clayton's life, and O'Connell says that no sedatives were used beforehand. He added that no witnesses "reported seeing any signs of discomfort." Clayton, 74, was sentenced to death for the 1996 murder of Barry County Deputy Christopher Castetter. Clayton's attorneys said that he was mentally ill and intellectually disabled due to a severe brain injury from a sawmill accident in 1972. Surgeons removed a portion of his brain following the accident. "Cecil Clayton had – literally – a hole in his head. Executing him without a hearing to determine his competency violated the Constitution, Missouri law, and basic human dignity. Mr. Clayton was not a 'criminal' before the sawmill accident that lodged part of his skull into his brain and required 20 percent of his frontal lobe to be removed. He was happily married, raising a family and working hard at his logging business. Medical experts who examined 74-year-old Mr. Clayton said he couldn't care for himself, tried but couldn't follow simple instructions, and was intellectually disabled with an IQ of 71. He suffered from severe mental illness and dementia related to his age and multiple brain injuries. The world will not be a safer place because Mr. Clayton has been executed." Attorney General Chris Koster also released a brief statement in support of the execution: "As one who has carried a badge most of my adult life, I share the outrage of every Missourian at the murder of law enforcement officer Deputy Christopher Castetter. Cecil Clayton tonight has paid the ultimate price for his terrible crime." In addition to considering the nature of the crime, I have given extensive consideration to Clayton's competency. Clayton was found competent to stand trial in 1997 for the murder of Deputy Castetter and again in 2006 to bring his federal habeas action. In 2014, at the request of the director of the Department of Corrections, Clayton was comprehensively examined by a certified forensic examiner with the Department of Mental Health and determined to be competent to be executed. I accept that finding. This crime was brutal and there exists no question of Clayton's guilt. My denial of clemency upholds the court's decision to impose a sentence of death. Cindy Short, another one of Clayton's attorneys, says though, that such exams were not enough, and that Clayton should have been granted a full-fledged competency hearing. "He was an individual who was 74 years old with organic brain damage, with dementia," Short said. "We needed to have a hearing, we needed to be able to flesh this out in some forum, in a court or an administrative hearing, which is what the governor's office could have granted." Short said she was also surprised and disappointed that the U.S. Supreme Court did not grant a stay of execution, which could have given Clayton the opportunity to have a competency hearing. "In our system of justice, we like to believe that we will have due process, and we'll have an opportunity to air disagreements about factual matters in court, and to deny us that opportunity is inconsistent with the Constitution, it’s inconsistent with what we stand for," Short said. "On the north side of the Capitol in Jefferson City stands a memorial in tribute to Missouri law enforcement officers who died in the line of duty. One of the names is that of Barry County Deputy Sheriff Christopher Castetter. Our state is safer because there are brave officers, like Deputy Castetter, who are willing to sacrifice their own safety for that of others. As the sentence of his murderer was carried out this evening, I ask Missourians tonight to honor Deputy Castetter, who gave his life in service to our state, and to remember him and his family in their thoughts and prayers." I wish I knew all the names and agencies to personally say 'thank-you' and give my families' gratitude that is so well deserved for all the professional endless hours of work that was put into this case to convict Cecil Clayton for the senseless murder of our brother, Barry County Deputy Sheriff Christopher Lee Castetter. We know this execution isn't going to bring Chris back, but it destroys an evil person that would otherwise be walking this earth. There has been so much talk about the mental capacity of Cecil, but just him going to Martin Cole and wanting him to say he was with him all evening, telling Martin that he just shot a cop and then when seeing two police officers asking if he should shoot them too...there is no doubt in my mind that Cecil knew what he had done, as he went to Mr. Cole for help. I know there is more that was said, but this in my mind is an easy determination of Cecil's mental capacity/abilities to know that he had done something wrong and went for help to hopefully keep him out of trouble. The Great State of Missouri did not kill an innocent man, Cecil Clayton's actions is what put him to death. Chris has a niece that has his middle name, Kyra Lee Castetter, and yes, she has some of the same traits that Chris had. I look at my daughter and at times it is as though I'm talking to Chris, by the looks and answers I get, so much resemblance. I/we are leaving this with happy memories of my/our brother. Chris's memory will always be kept alive. I know our parents feel the same. Chris loved being able to help and protect the community, he left a beach town to be with the friendly, hospitable country people of Cassville, Missouri. Chris left us being the proud, badge-wearing, brother, son, uncle, friend and deputy of the Barry County Sheriff's Department. Clayton's execution is the second one carried out in Missouri this year, following a record-setting 10 executions in 2014. 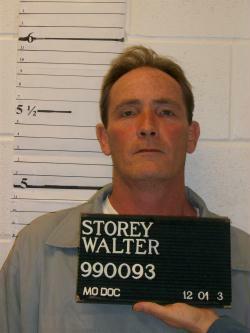 A Missouri death row inmate is waiting to hear if the U.S. Supreme Court will grant him a stay of execution before his scheduled lethal injection Tuesday evening. Cecil Clayton's appeal is based on whether he's mentally competent enough to be put to death. Now 74, Clayton suffered a brain injury in 1972 at a sawmill, in which a wooden projectile pierced Clayton's skull. Surgeons removed a small portion of his brain; his attorneys say that included one-fifth of the frontal lobe and that, as a result, his impulse control and judgment were severely impaired. Clayton was convicted of fatally shooting Barry County sheriff's deputy Chris Castetter in 1996. His attorneys argue that his deteriorating mental health and low IQ make him ineligible for execution under both state and federal laws. 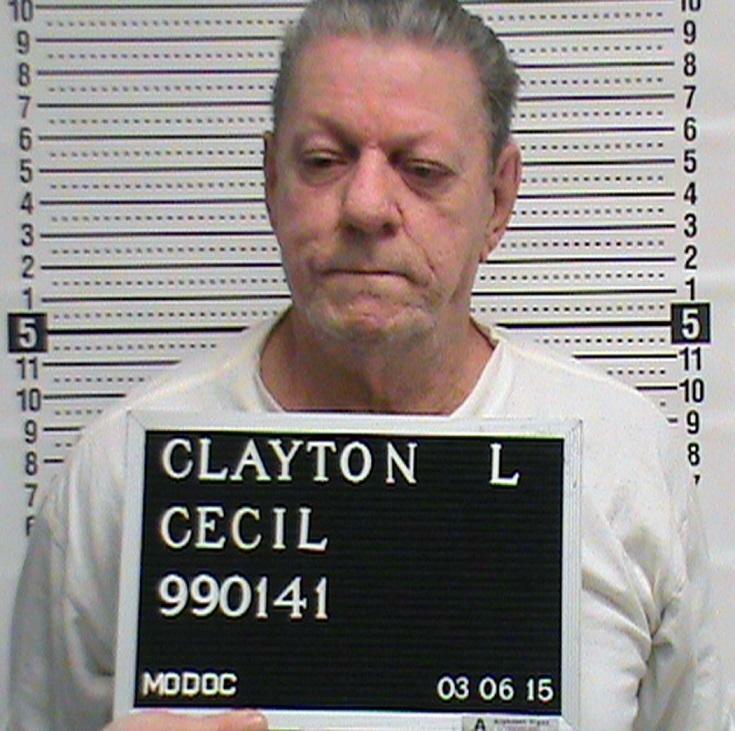 In a 4-3 ruling on Saturday, the Missouri Supreme Court denied Clayton's request to halt his execution. Judge Paul Wilson, writing the majority opinion, stated that Clayton is competent to be executed. Judge Laura Denvir Stith wrote a dissenting opinion, however, stating that he should be entitled to a hearing on both his competence and his claim of being intellectually disabled. Clayton is scheduled to die by lethal injection at 6 p.m. Tuesday. This would be the second execution in Missouri this year, and the first at the new designated time, instead of 12:01 a.m. Wednesday.